The rising change in trend has a real impact on any field as far as technological advancements are concerned. Due to this, we cannot say that the mobile field is left out since it has to cope with the changing trend standards. We tend to use smartphones in our activities simply because they ease our work and people prefer smartphones fitted with the latest advancement as per the mobile app and design trends are concerned. The change in mobile app design trends is mainly to suit the needs of the users and the design levels seem to advance uncontrollably due to the market demand. This is a mobile UI trend related feature that has been in the market for quite some time over the years but as we all know everything has to advance further at some point. This mobile UI feature is made specifically so as to save on space due to the little storage spaces on mobiles and works with the aid of a navigational drawer that ensures that the navigation menu is only available when need be. Day in day out advancements in the mobile UI trend is solely meant to offer the best UX experience since its one of the key features to be focused on considering the expected UX design trend in 2017. 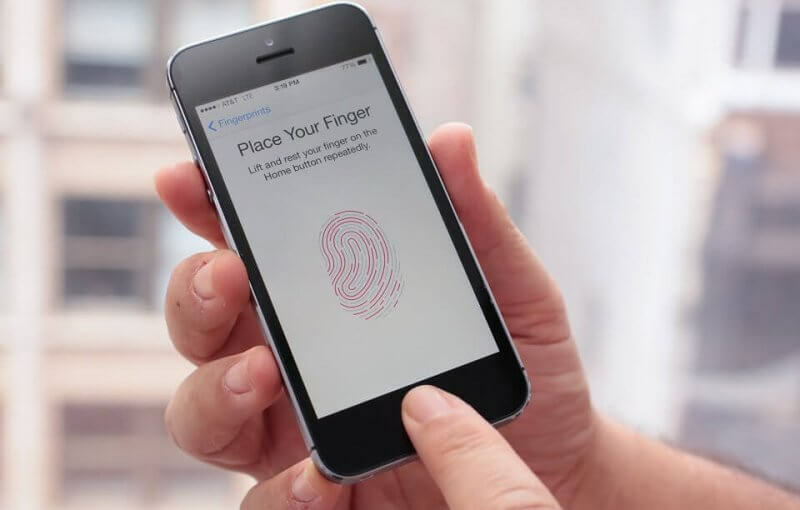 The touch id is used in unlocking ones’ mobile after verifying that the right fingerprint id is being used. The touch id had been used in the Apple devices to enhance purchases of stuff online making it easy and saving time. Following the implementation of the diffused background which has to lead to an increase in the user’s perception of the main features of the mobile app design, there’s more to be expected on the mobile app trends. The wearable devices have caught our attention as far as design trends are involved. Thereby there has to be UI/UX design improvement so as to incorporate the required features appertaining to the UX/UI and app design trends 2017. On the contrary, the implementation of the use of the Apple watch is an example of how there is hope in the fulfillment of the expected mobile app and UI design trends. Colors displayed and involving user interfaces usually aid in the improvement of the UX. Due to the ever-changing mobile app design trends, new exciting designs and customized mobile app designs influence many users into choosing them since they offer improved mobile app features that are addictive and thereby there is so much to be put into place following the mobile UI design trends 2017. Card design is a mobile app design that is expected to enhance and create a more user-friendly website usage experience. The cards always tend to enhance the mobile app UX by making it more interactive by placing and partitioning the content on a particular website due to their enhanced mobile app UX design. They also enable one to easily download multimedia files and enable users to be able to get hands on whatever material or information they want but awaits modifications to suit the mobile app design trend 2017 expectations. 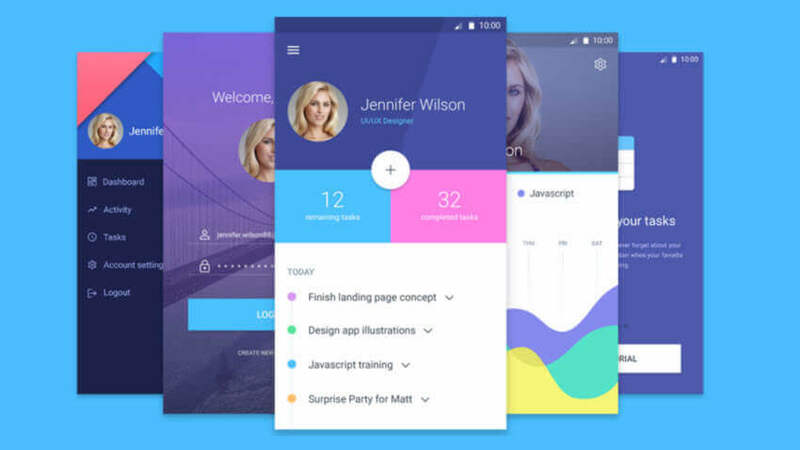 The material mobile app design trend was officially brought into existence in 2014 following Googles conference. This mobile app design trend is however meant to be user-friendly by offering a commendable UX thereby offering designers an opportunity to showcase their creativity in its improvement and advancement. This feature can be used in the android devices to boost the android OS in line with the android design trends 2017. The fact that it works hand in hand with the card design poses many expectations in the upcoming UX design trends 2017. Previously mobile app design trends have never considered typography feature bearing in mind that all icons on the smartphone screen must have a well distinguishing hierarchy so as to create a perfect UX. Thereby there will be an interest in the fonts, the hierarchy of elements and linkage of patterns so as to enhance the UX. 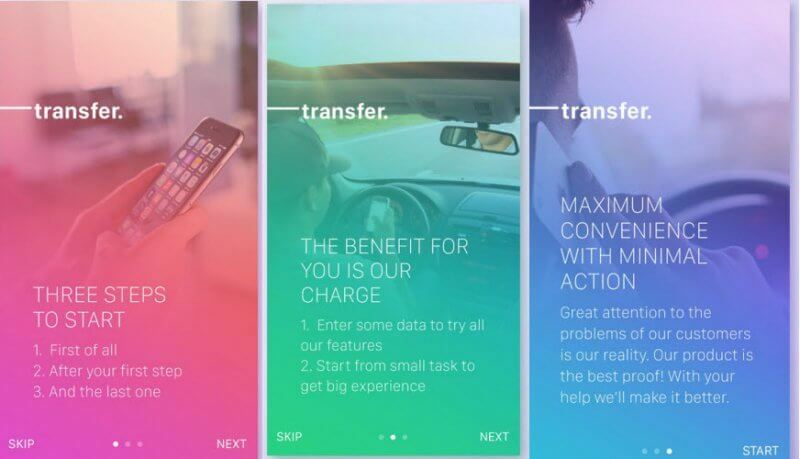 Most mobile app tends to use one unique color due to the fact that they have to enhance the user experience by maintaining the use of colors that can be comfortably be used by users without posting any effects. But at the same time, there has to be a consideration of the time of the day such that you can easily change the colors according to your own liking. 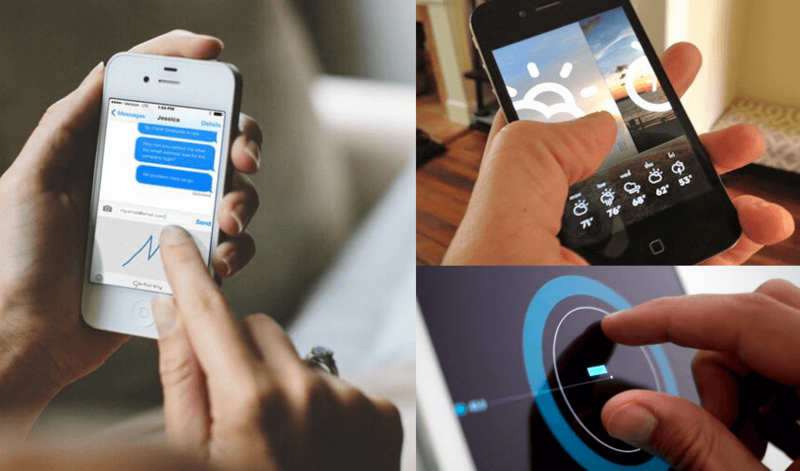 Rising demands in mobile UI design has led to the addition of new gestures to enhance mobile app UX designs. The gestures include touch mechanism which revolves around the ability of the user to use their fingers in maybe double tapping on the screen while the touching activities are mainly due to the effects of the touch mechanism. The gestures have to implement effectively for one to be able to use a mobile app thus improving the mobile app UI by enhancing its speed and interaction with the end user. 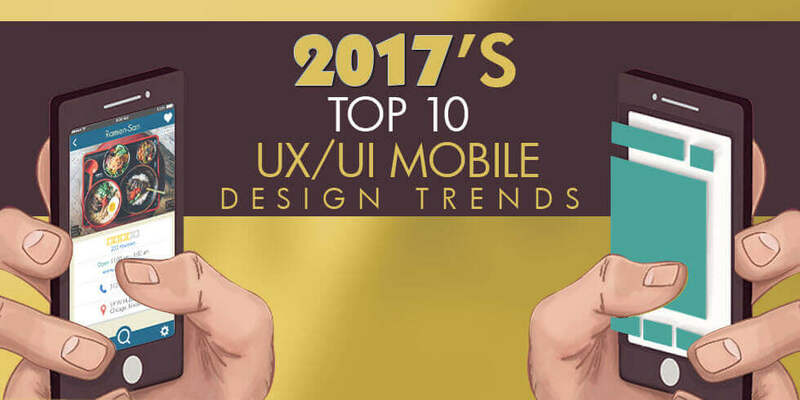 The highlighted topics above are in line with the expected mobile UI/UX design trends that play a major role in the mobile app design trend 2017 and many years to come. So as to put in place the best mobile UI design trends, set to improve the UX in consideration with the device’s sizes, be it the wearable ones or the smartphones at a glance and embrace the change in standards.